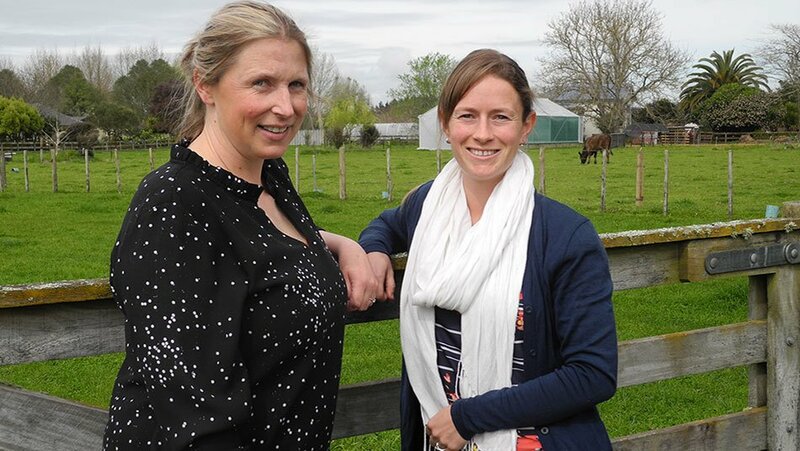 Two South Island farmers, Mo Topham from Southland and Tania Riddington from Canterbury, have recently joined the New Zealand Animal Evaluation (NZAEL) Farmer Advisory Panel, bringing the panel numbers to nine. The advisory panel was established 18 months ago by NZAEL, a wholly-owned subsidiary of DairyNZ. The panel members are spread across the country and operate a range of New Zealand farming systems. They are advocates for genetic improvement and meet five times a year to provide practical views on the research and development being proposed or undertaken by NZAEL and DairyNZ researchers. Dr Jeremy Bryant, NZAEL manager, says it is vitally important for farmers to be involved in genetic evaluation development. “The perspective and experience of farmers is invaluable when it comes to enhancing the animal evaluation system,” says Jeremy. Mo Topham and her husband Simon lease a family farm and are investors in an equity partnership in Southland. On their own farm, they run a 515 spring-calving herd, made up of predominantly Friesian and Jersey crossbred cows. Mo and Simon’s assets are similar to a 50:50 sharemilker’s and therefore they are very mindful of the importance of maximising the value and saleability of the herd while also maximising productivity. Simon and Mo have recently signed up to DNA testing and are looking forward to the improved reliability this will give the herd. Mo is a former DairyNZ consulting officer and works for FarmWise as a farm systems and environmental consultant. Tania is a 50:50 sharemilker at Culverden in North Canterbury where she milks 480 cows, a mix of Friesian/Friesian cross. Tania started out with 300 cows and has built up the numbers from the progeny. She doesn’t need to grow the herd further, so is concentrating on building up herd genetics. In 2017 Tania was runner-up sharemilker in the Canterbury/North Otago Dairy Industry Awards. She holds a Bachelor of Science (Hons) from Otago University and was a microbiologist before entering the dairy industry. In addition to working closely with the panel, NZAEL values feedback from all New Zealand dairy farmers and will continue to consult the industry on big changes and developments via breeding company meetings, user group meetings, consulting officer networks, social media and email newsletters which are produced three times a year. User group meetings will be held from time to time to communicate major developments. For more information on New Zealand Animal Evaluation click here.